Hello. Some highlights from a glorious sunny weekend in the UK. 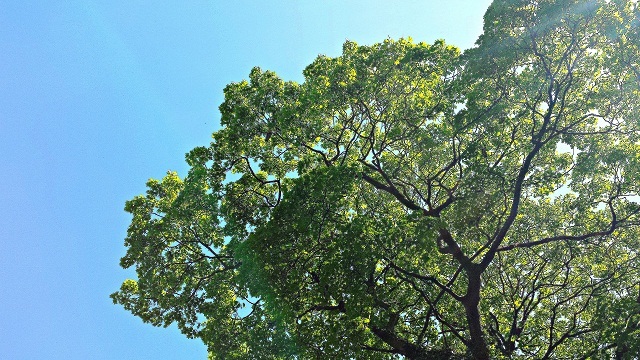 ♥ Blue skies and beautiful trees to gaze at. 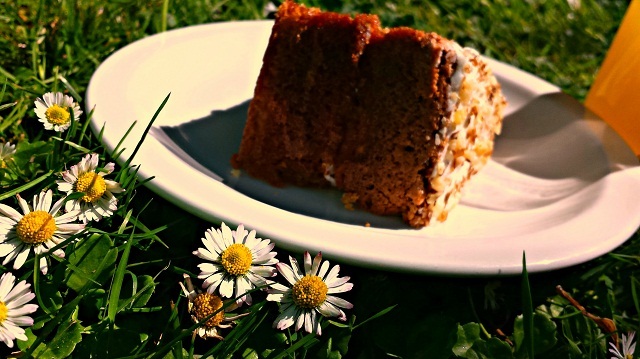 ♥ Cake on the lawn at the Cathedral café - there were no picnic tables left. Who cares? We enjoyed sitting sandal free on the daisy strewn grass. 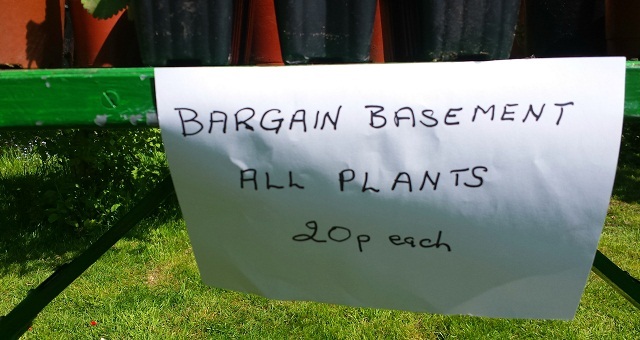 ♥ Mega bargains at a local plant sale. 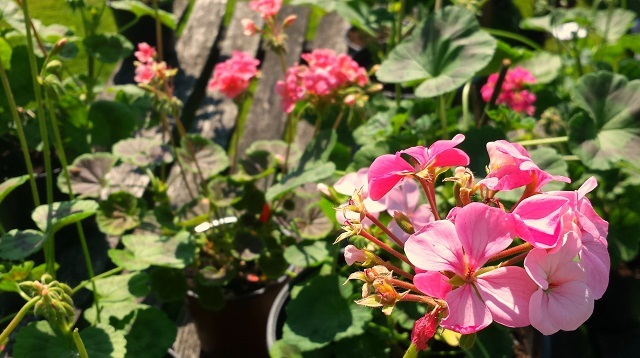 20p plants! ♥ Roasted red pepper, balsamic vinegar and toasted flaked almond salad - my favourite. ♥ Newly painted deck in grey and a few more plants in. The fence is horribly orange and needs calming down. Next job! 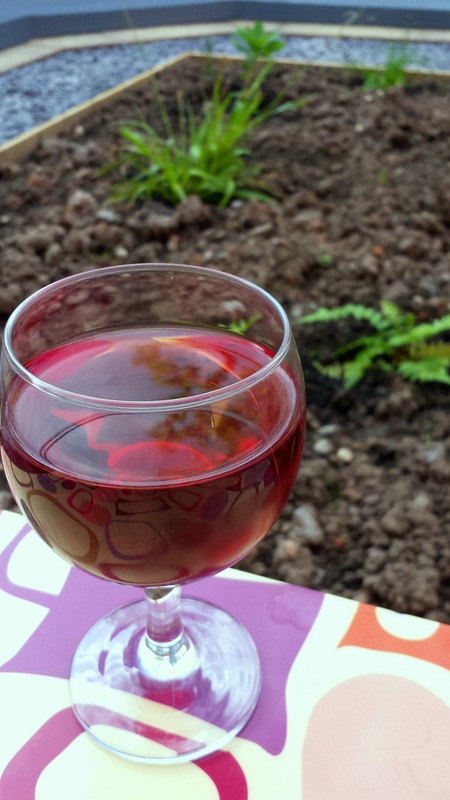 ♥ Kir (white wine and cassis) after the hard work and before watching Chelsea. I can't wait for Chelsea Flower Show coverage next week. Anyone else enthralled? ♥ Our fifteen year doing his homework in the garden. It was definitely an outdoors weekend. Chelsea week is a great favourite here! Looks like another fabulous weekend. I like the look of your food. What a beautiful looking weekend! Sounds like you really made the most of that glorious weather! If only all weekends could be like this complete with lovely sunny weather.